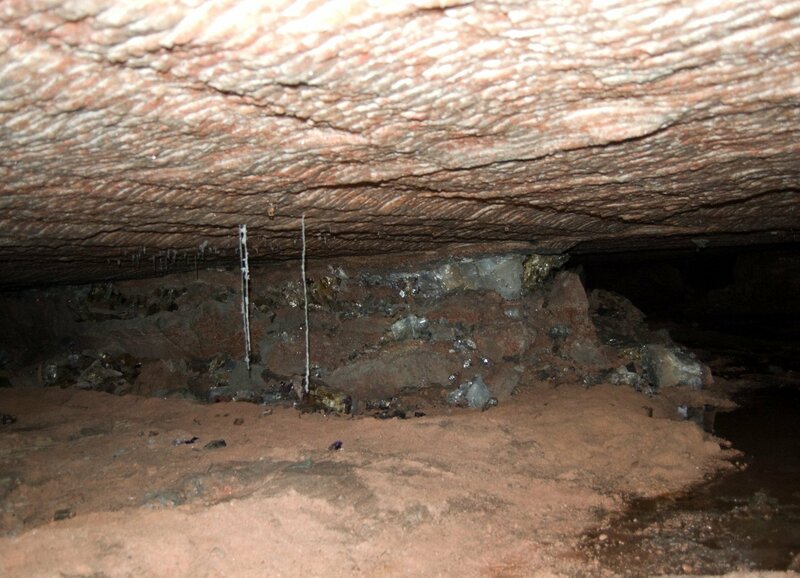 Description: Here is a photo of the Frozen Blue Seam as it looked immediately after discovery. Nearly all of the dark forms along the floor and ribs are crystals waiting to be collected. The height of the drift is less than 1 meter, where it had originally been over 2 meters tall.